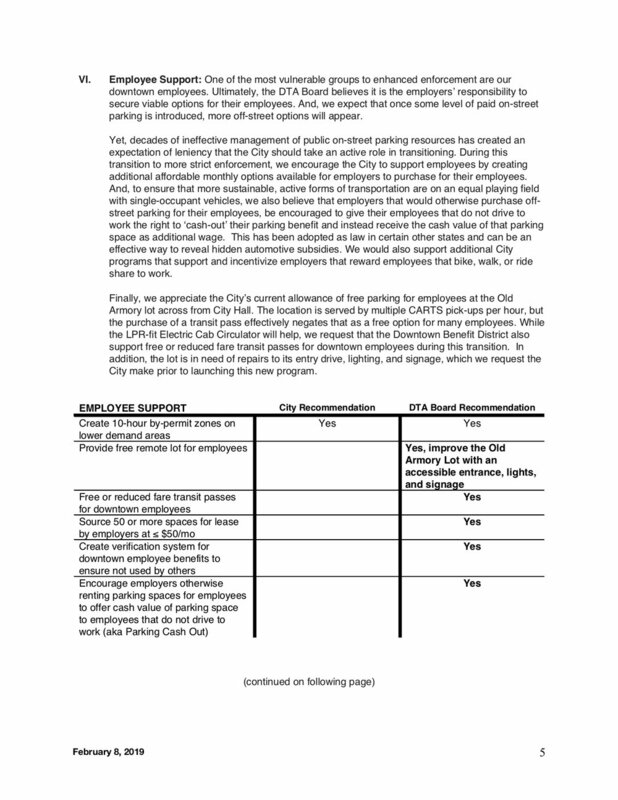 In advance of the February 19, 2019 meeting at which Council will consider the City’s proposed Paid On-Street Parking Implementation Plan [update: Council has delayed consideration of this item, but still expects to have it on an upcoming agenda], the Downtown Association Board has issued a letter to the Mayor and Council with its comprehensive recommendation regarding the management of on-street downtown parking. It is posted in full below and may be downloaded here. The Downtown Association has also partnered with City of San Marcos for an information session on both the City and DTA Board parking recommendations Monday, February 11 6PM at Splash Coworking (326 N LBJ Drive). 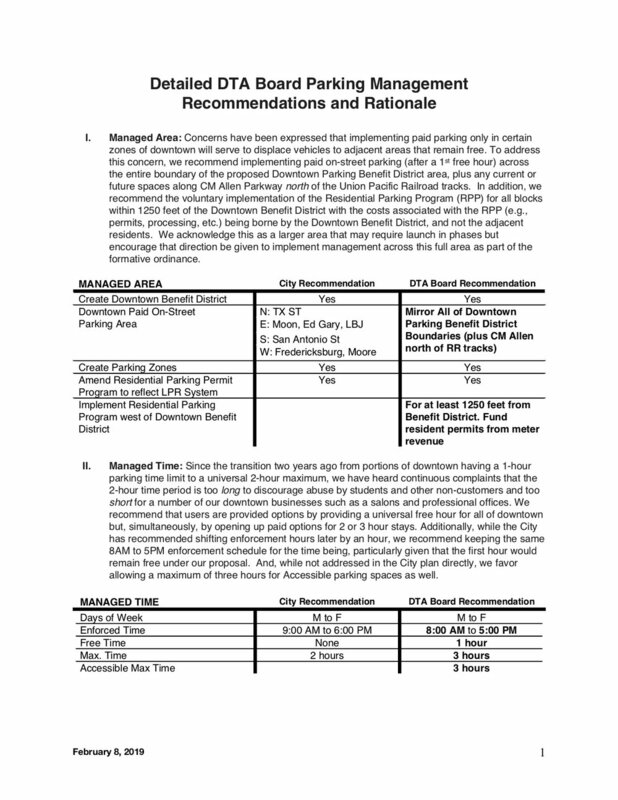 The City of San Marcos has published a final draft of its staff and consultant (Kimley-Horn and Associates) recommendations on the implementation of paid on-street parking in downtown San Marcos. 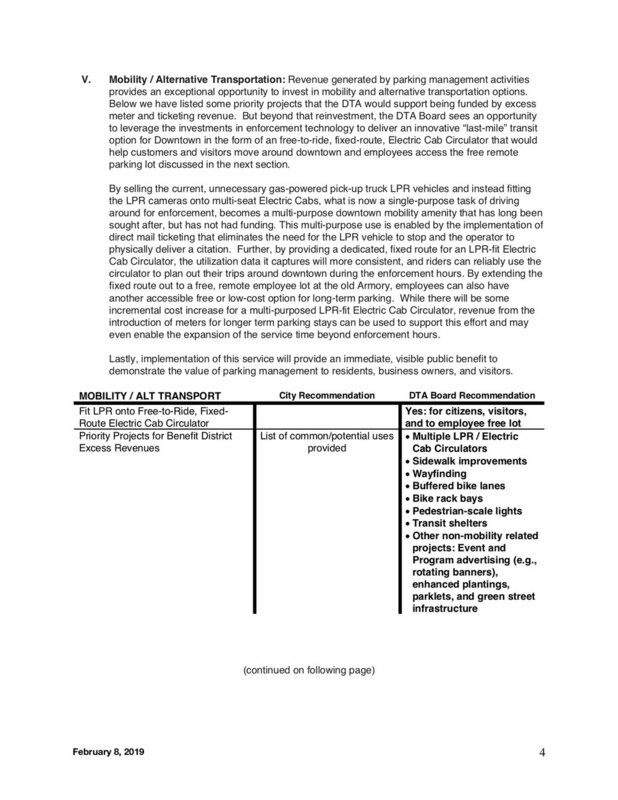 The executive summary and the full document may be downloaded using the following links or at the City’s Parking Management webpage. The executive summary is also included for view at the bottom of this post. The matter is expected to come before City Council on Tuesday, February 19, 2019 and City Staff has scheduled several public outreach sessions over the new few weeks. 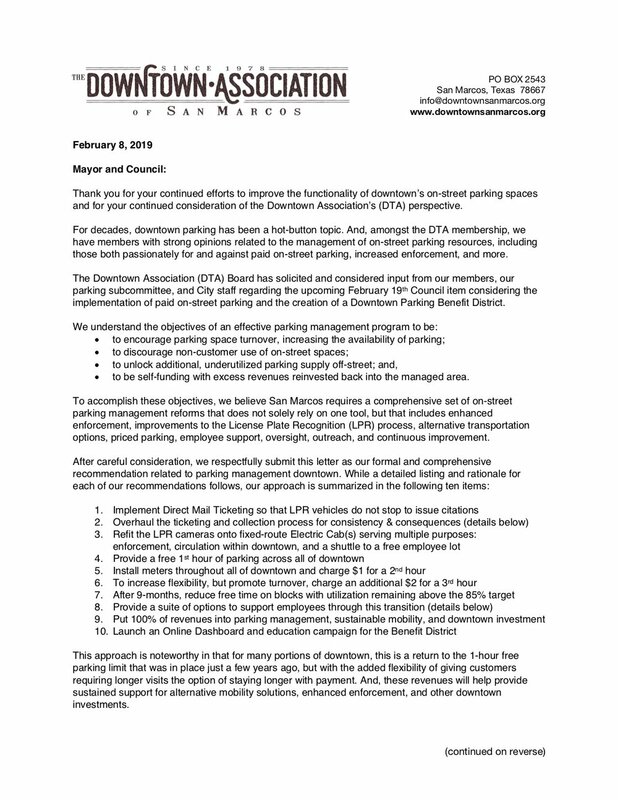 [Update: The Downtown Association Board of Directors issued its own recommendation on downtown parking (posted here) and has worked with City staff to schedule a full presentation, open to all interested parties, regarding the topic on Monday, February 11 at 6:00PM at Splash Coworking (326 N LBJ Dr). Stay tuned to the Downtown Association website for more information. The City Clerk’s office is accepting applications for the newly formed Parking Advisory Board until Thursday, January 17. All interested Downtown Association Members are encouraged to apply. The new seven person* Parking Advisory Board was formed by Council ordinance (click here to view) on December 12, 2018 with the support of the Downtown Association. 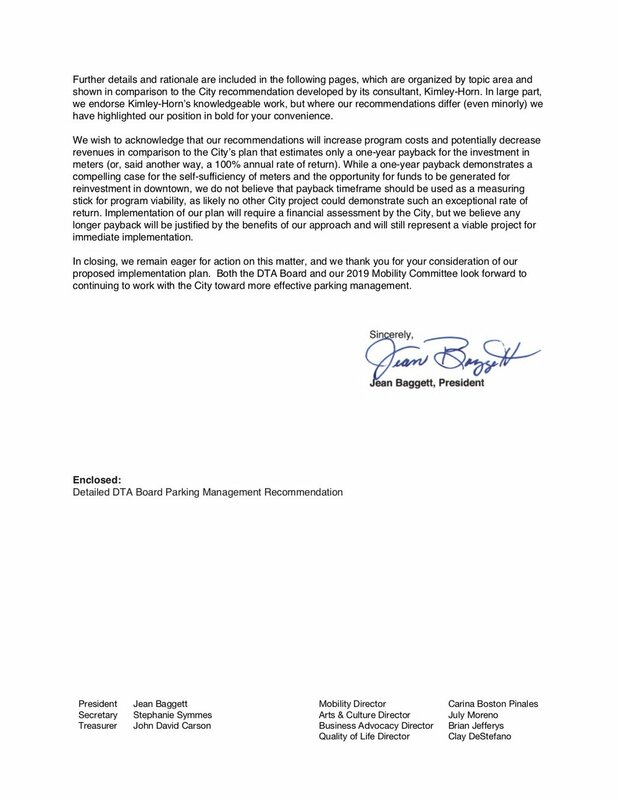 The Parking Advisory Board will serve an advisory function to the City manager and council regarding parking and mobility, including parking benefit districts, on-street parking regulations, and codes and ordinances relating to parking facilities, mobility solutions, and transportation demand management. 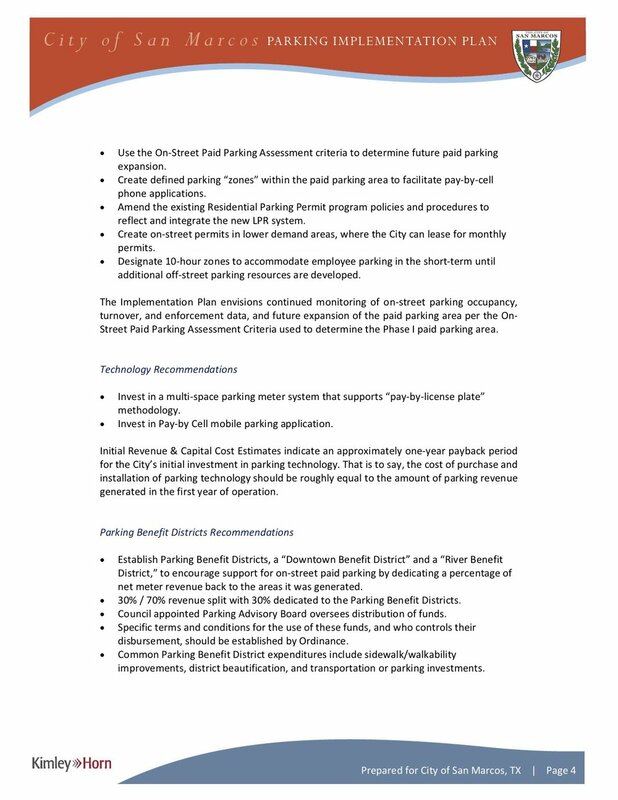 Council also approved a budget amendment to immediately hire a Parking and Mobility Manager who is anticipated to actively work with the Parking Advisory Board on parking and mobility solutions in the Downtown. 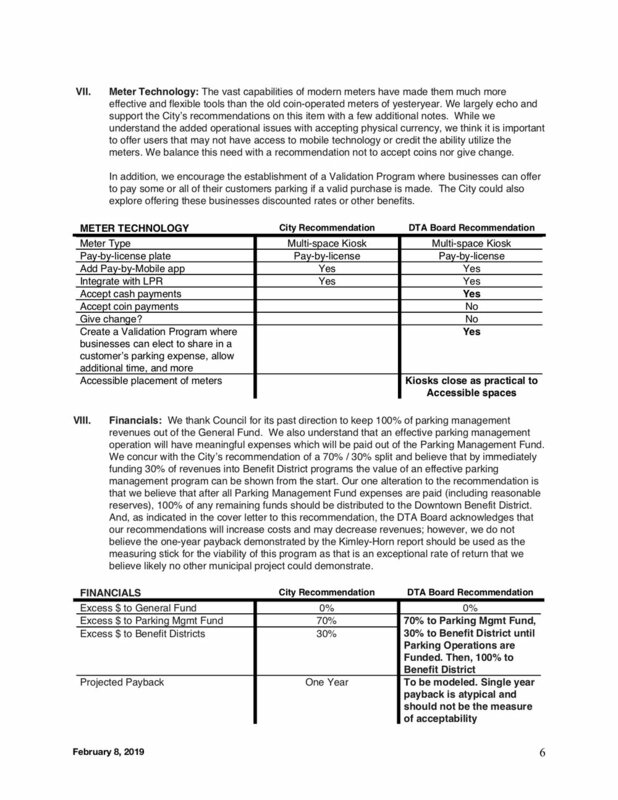 A “Downtown Association Recommended Member” and a “Main Street Recommended Member” for the Parking Advisory Board will each be submitted directly to the City by those respective organizations’ Boards; however, all other members of the Parking Advisory Board will be selected exclusively by Council and include seats for a Downtown Business Owner, Downtown Property Owner, Downtown Resident, and two at-large members. With the exception of the Downtown Resident member seat, there are no residency requirements stated in the ordinance. More information on Boards and Commissions can be found here. A direct link to the Application can be found here. To catch up on the latest Parking news, click here to view all the DTA News posts related to Parking. *Two Council Members are also included in the Parking Advisory Board as non-voting members. 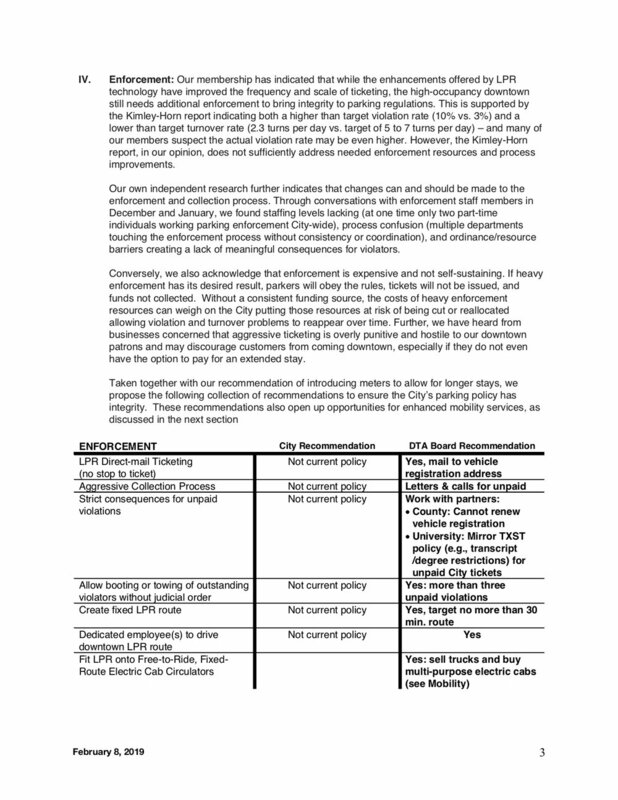 With increased demand for parking in Downtown San Marcos and the launch of enhanced enforcement of time-limits via License Plate Recognition (LPR) technology, the Downtown Association (DTA) recognizes an opportunity to unlock private OFF-street parking spaces that are vacant or underutilized to provide a solution for those in need of parking. The DTA has partnered with PARQEX to create a local, online marketplace where private, OFF-street parking spaces can be listed and rented in a matter of minutes via the web or an Android or iPhone app. While the online marketplace allows for daily, weekly, or even hourly parking, the current focus of the marketplace is to provide parking on a monthly basis for known users in need such as downtown employers and individuals requiring longer than the allowable two-hour time limit for ON-street parking downtown. Early this month, the Downtown Association sent out nearly 300 direct mailers to all property owners within the downtown encouraging them to list any vacant or underutilized spaces on the marketplace. With PARQEX, owners can make spaces available at all hours or just during certain hours of each day or certain days of the week. Ready to sign-up and list or rent a space? Click the logo below to sign-up and receive a free $15 credit. Still have questions? Head over to the DTA’s Parking Marketplace FAQ by clicking below for a lot more info. The Downtown Association Parking Subcommittee is actively working with the City of San Marcos on parking management downtown. To assist in this effort, the DTA conducted a survey from May to June 2018 and subsequently presented the data to City Staff and Council. The License Plate Recognition (LPR) system for parking enforcement is now live and has been in use in the downtown area for about three weeks. Warning tickets were issued for the first two weeks, but actual tickets are now being given and numerous tickets have been issued. The City currently has one full-time and three part-time parking technicians rotating and working together to make sure there is full-time coverage in the downtown area between the hours of 8AM to 5PM. They are tasked with covering the areas of Downtown bounded by University Drive, C. M. Allen Parkway, MLK Drive and Moore Street. Issued tickets are placed on the driver’s side windshield of the vehicle. If the ticket is not paid within 10 days, a follow-up collection letter will be sent directly to the vehicle owner as part of the collection process. It is still early in the system roll-out and the Downtown Association will continue to provide updates as they become available. The City of San Marcos will begin using license plate recognition technology to help parking enforcement officers manage downtown parking. Preparations for the automated system are underway with full implementation scheduled prior to March 1.